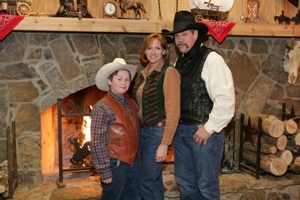 Greg and JW Johnson, along with their son, Colton, have a deep love of the old west and a genuine desire to keep the spirit of the American Cowboy alive….today and for many years to come. As owners of the Bar J Ranch they not only raise and sell horses, but also produce rodeos - they were the first to bring the Ladies Professional Rodeo to Kansas and co-sponsored the US Army “Support Our Troops” Championships in 2006. This successful business provides them with the means to support and assist worthwhile charitable organizations like St. Jude Children’s Research Hospital, the Titanium Rib Foundation, the Muscular Dystrophy Association, the Institute of Logopedics and the Emmaus Mennonite Church Rebuilding Fund. 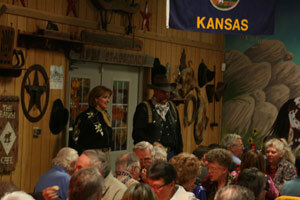 The Johnsons want to see the Prairie Rose continue to be a draw to the Wichita area and the state of Kansas. It is their goal to continue the time-honored tradition and vision of the Prairie Rose that has attracted thousands of people through the gates - from the United States and around the world. The Johnsons say a big thank you to those who have supported the Prairie Rose in the past. To all its friends, near and far, be assured every effort is being made to make sure the family circle values stay intact. To provide wholesome environment and entertainment by promoting the good, old-time values of the American cowboy: belief in God, Country and family.